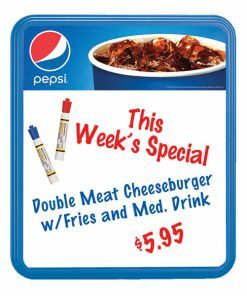 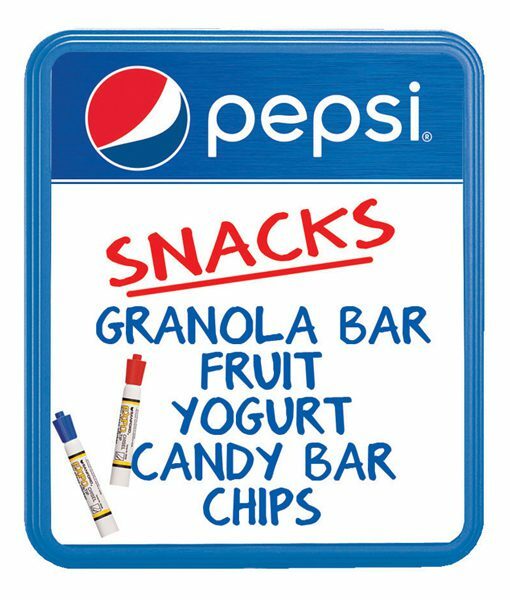 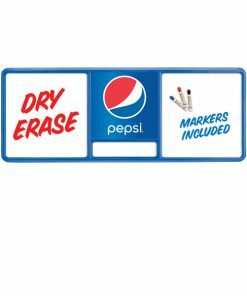 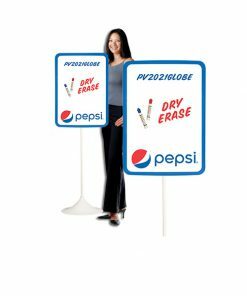 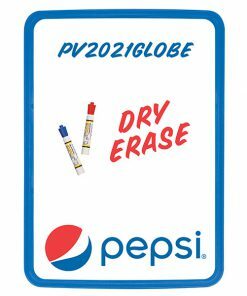 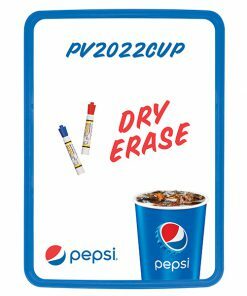 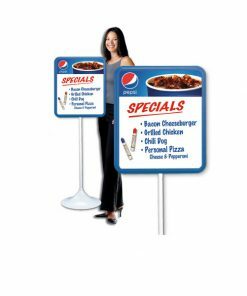 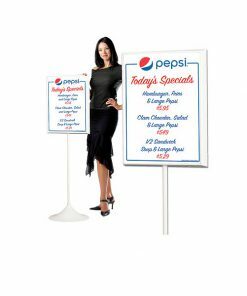 Pepsi Globe dry erase board with horizontal logo area. 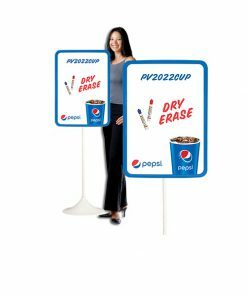 Available for wallmount display only; wipes clean with a dry cloth or tissue. Red and blue dry erase markers included.